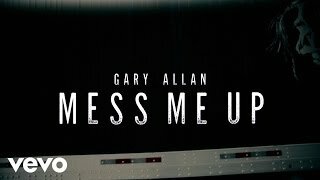 GARY ALLAN: New Song (2018) - "Mess Me Up"
Mess Me Up by Gary Allan is a country song from the album Mess Me Up - Single. The single reached the Billboard Country Airplay chart. The official music video for Mess Me Up premiered on YouTube at the end of May 2017. Listen to Gary Allan's new song above. Gary Allan's Mess Me Up lyrics were written by Ross Copperman, Ashley Gorley and Shane McAnally.